Have something about yourself you want to improve? Try this ASU prof's 4 steps. 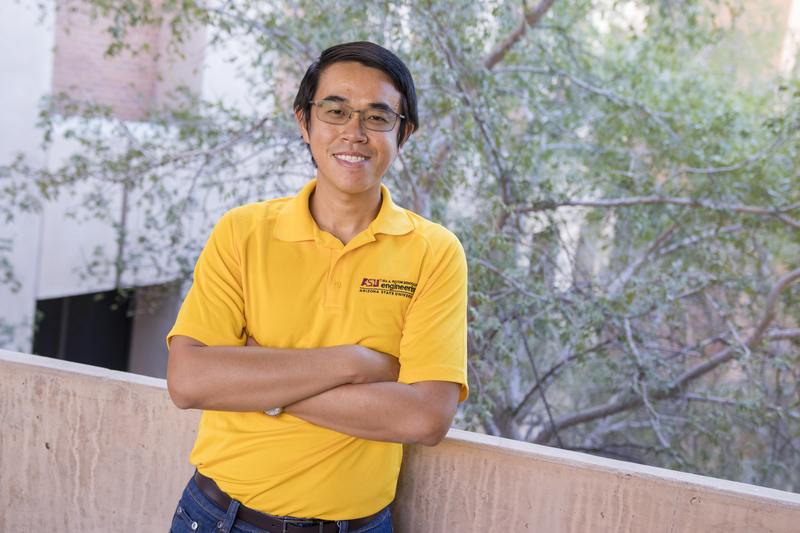 Arizona State University Associate Professor Craig A. Mertler is a man of action — and research. Mertler, who is also director of the EdD Program in Leadership & Innovation at ASU’s Mary Lou Fulton Teachers College, has refined a research method that aims to do it all: promote educator empowerment, school improvement and job-embedded professional development. He calls it “action research” and has written three books on the subject. Essentially, action research is a process that involves the identification and resolution of self-identified problems in a person’s own setting. ASU Now caught up with Mertler as he prepared for a TEDx Talk he will deliver on the subject at Lakeland University in Wisconsin on Oct. 4. Question: The focus of your TEDx Talk will be on “action research.” Tell us what that is. Answer: Action research is a research process intentionally designed for use by practitioners. Generally speaking, the majority of traditional research is conducted by people who typically aren’t the end user of the research findings. That kind of research is conducted by researchers, policy professionals, professors and others with the intent of publishing their findings in the hope that they’ll eventually be used by those who actually do the work in a respective field. In contrast, action research is conducted by the practitioner, is focused on specific “problems of practice” as identified by that practitioner, and results in findings that are immediately accessible and usable in that particular setting. Also, traditional research focuses on the concept of “generalizability” — in other words, to what extent do the findings of a particular study generalize to other similar, or even dissimilar, settings? Action research isn’t concerned with how well or to what extent the findings from an action research study could have application in other settings. The only setting that really matters here is the one where the study is taking place. The bottom line is that action research is conducted by individuals in attempts to better themselves, their work or their settings. Finally, action research is a cyclical process that capitalizes on a process of personal and professional reflection. It relies on the abilities of the practitioner to be able to critically examine her or his practice in order to identify areas in need of improvement and possible solutions to those dilemmas. Step 1 — Identify a problem or thing that you want to change or improve. For many people, this first step is the most difficult. This is where critical examination of yourself, your work, your behaviors, etc. is crucial. Also, this “problem” doesn’t have to be something large or broad in scope. It can be something very simple and straightforward, but something that you want to change or improve about yourself. Step 2 — Generate a possible solution to your problem that you can implement or otherwise try out. This involves coming up with a way to do something in a different manner than you might have in the past. It may not be a perfect solution — and it actually may not work at all — but you need to start somewhere, and this first cycle will get you started in terms of trying to solve your problem. Step 3 — Collect some “data” and assess the effectiveness of your proposed alternative solution or method. Data must be gathered in order to provide feedback or other information on how well your potential solution or new approach worked. This doesn’t have to be formal “data” as we might know it, but rather, it can be anything that helps you decide how well something worked, or what you might want to change as you move to a next cycle of action research — all focused on continuous improvement. Step 4 — Reflect on your data, and the effectiveness of your solution, focusing on where you go next or what your next steps should be. If your first solution worked, then you stick with it; if it didn’t, you might try a new or different one. Even if it did work, you may want to go back and revisit its effectiveness from time to time, again focusing on the fact that action research is a cyclical process. Q: What do you say to people who are not naturally reflective but are willing to improve themselves? A: Well, first of all, I believe that we’re all reflective — to a degree — even if we don’t think that way about ourselves. There are very few people in the world who couldn’t identify at least one or two things about themselves that they would like to change or improve. If you know you’re willing to improve, you’ve already reflected on your personal and/or professional self to know that you want to improve. That, in and of itself, is a huge first step. For those who are hesitant about engaging in a reflective process, I advise them to begin very small. Try to identify one little thing that you do every day that you could try to change or improve upon. Most of us won’t have trouble coming up with something we’d like to improve about ourselves. Q: What do you hope audience members will take away from your TEDx Talk? A: The closing comments of my TEDx talk will try to connect each member of the audience with this improvement process. The great thing about this type of process is that it literally can work in any environment, workplace setting or with any number of personal behaviors and characteristics. I want to close my address by challenging each member of the audience to think of something that they want to change or improve and then engage in this four-step process as a means of empowering themselves to initiate the change they want to see in themselves. Watch a live stream of Mertler's TEDxLakelandUniversity Talk.